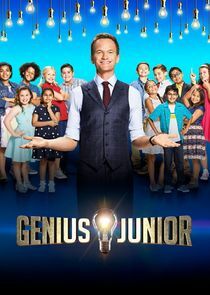 Neil Patrick Harris hosts the exciting new game show Genius Junior, which celebrates the brightest children in America. This one-hour competition series is the ultimate test of intelligence and endurance. Twelve teams of the most incredible children in the country, ages 8 to 12, will take the stage to compete in a series of increasingly complex quizzes with the goal of being crowned Genius Junior. The average adult relies on Google Maps to get them to their destination, their calculator for simple math problems and autocorrect for spelling errors. What if they had to memorize the entire U.S. highway system, do mind-bending math equations or spell incredibly complex words - backwards - all on their own? What if they had to do this against the clock? The talented "Genius Junior" cast members will tackle these and other challenging scenarios. Over four rounds, with each round tougher than the last, teams of three will have to work together to beat the competition. Each episode's winning team will then get to take on The Cortex - the toughest test of smarts on the planet - to build up their prize fund. 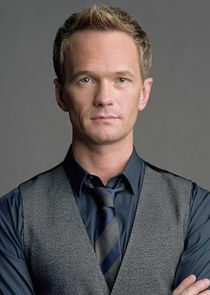 It's not enough to win a spelling bee, be a mathlete or even a memory champion. To win "Genius Junior", you have to be brilliant at everything. The winning team will take home a "Genius Junior" grant that will set the stage for a big and bright future that lies ahead.